When you get an invite to Ghent in Belgium to do a vegan/vegetarian tour of the city you know that vegetarianism is going mainstream. 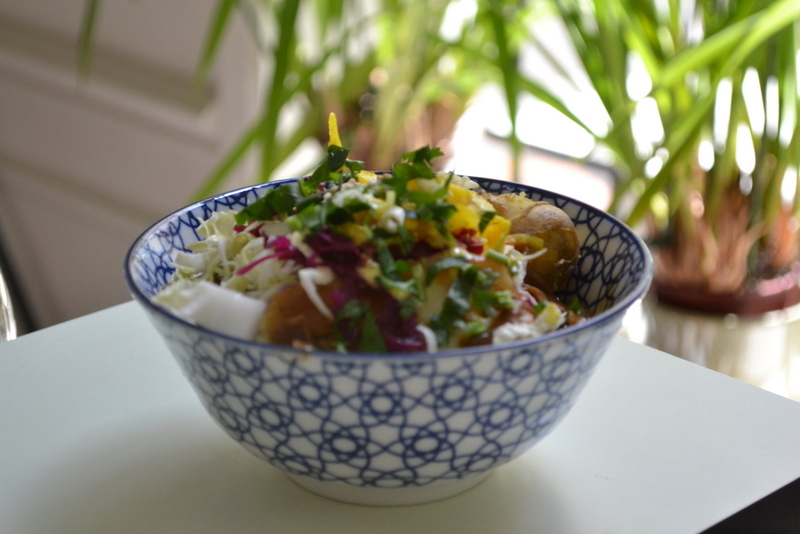 Did you know that Thursday is veggie day in Ghent? 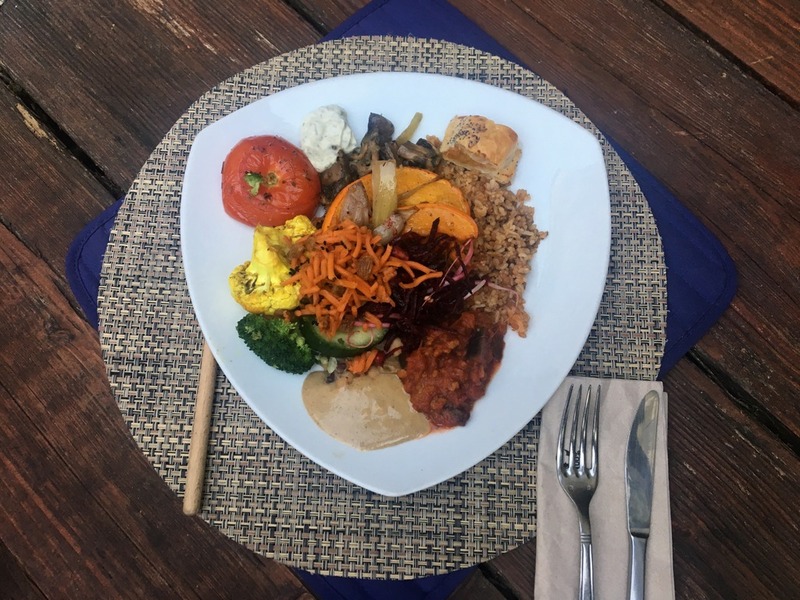 In 2009 EVA – Ethical Vegetarian Alternative started a new initiative in order to encourage people to eat less meat by having one meat free day a week, they suggested people only ate vegetarian food on Thursdays. 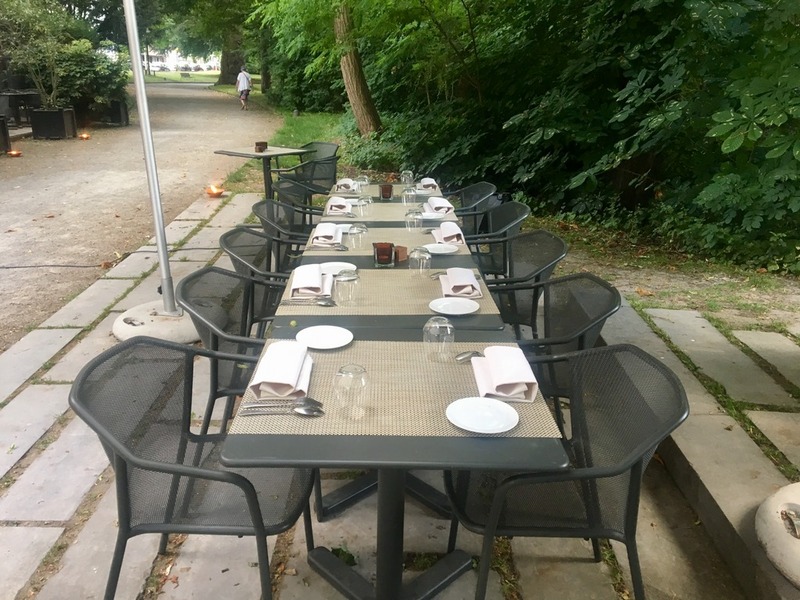 It has been a hugely successful campaign, which has changed the way people eat in Ghent. Half of the population has tried it, and now 30% of people are eating vegetarian at least three times a week. 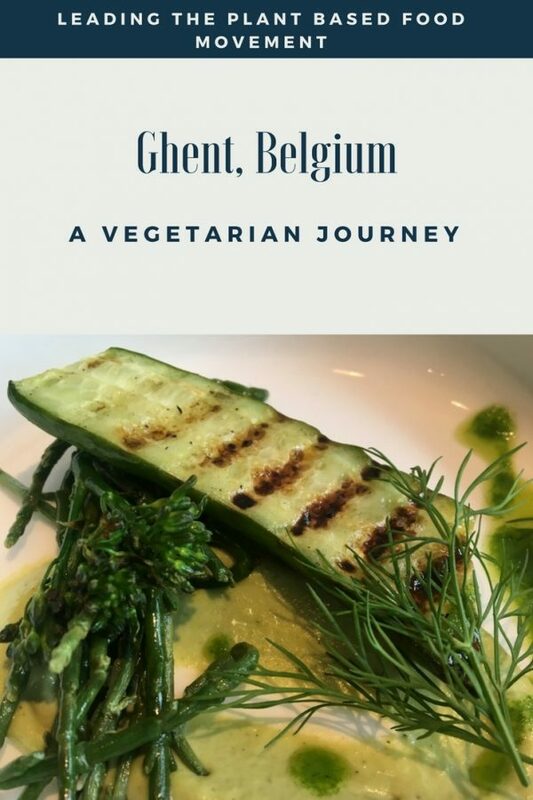 It has been picked up in nine cities across Belgium and also internationally with other groups around the world (including Asia and USA) copying Ghent – A Vegetarian Journey model. 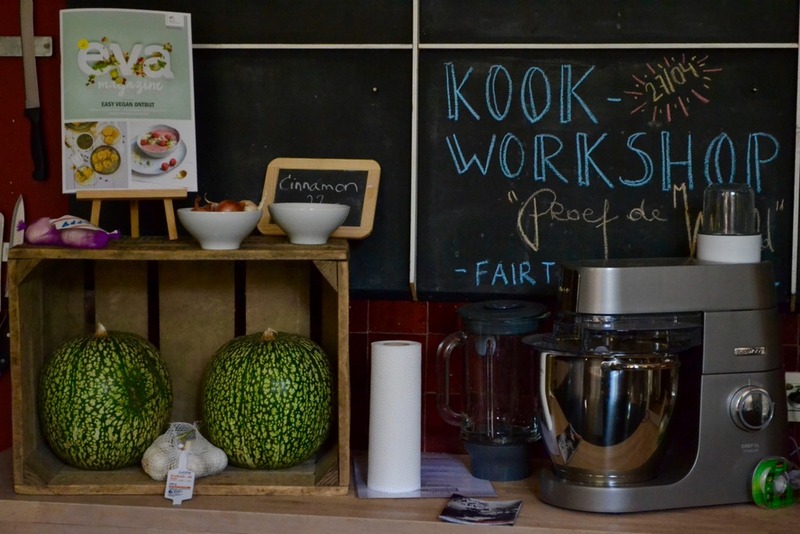 EVA runs lots of cookery workshops, with adults and children; educating people on how to eat healthily and economically using organic plant based recipes. Most of the inner city schools have introduced Veggie Thursday, so the younger generation is growing up with a better understanding of healthy eating and an interest in their environment. 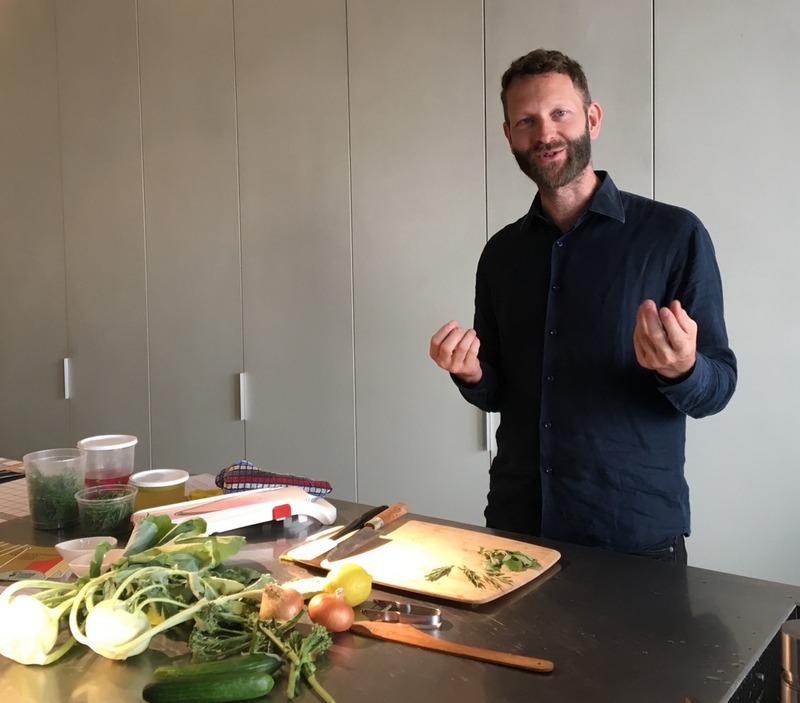 I am not a vegetarian, but I am all for eating less of a carnivorous diet; my son no longer eats meat and I am increasingly happy to join him, so I have been trying to experiment by cooking more interesting plant-based meals at home. 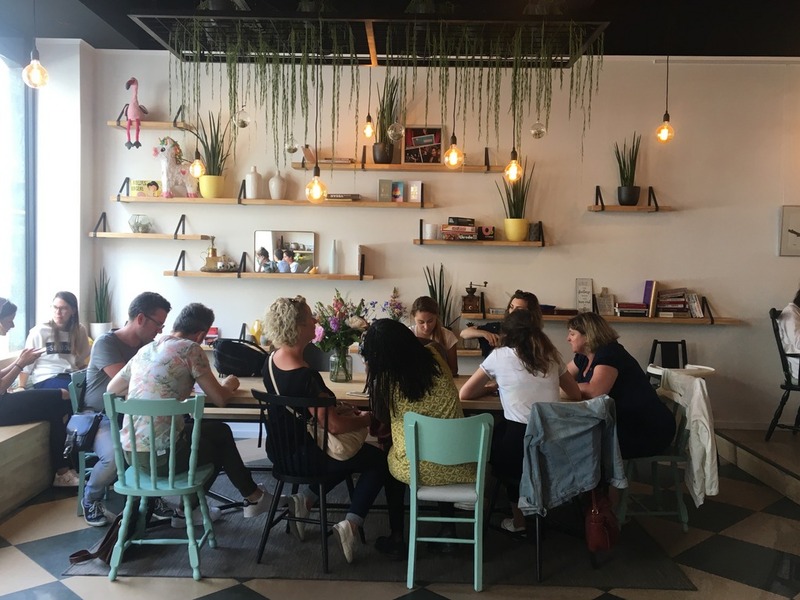 With this in mind, I was delighted to be invited on this great trip to Ghent, not only to explore the city but also to eat my way around some of the best vegan and vegetarian hot spots in town and also experience a cookery demo by one of the most acclaimed vegan chefs in Ghent. We started with ‘Full Therapy’, which is served to a minimum of 2 people. A mezze platter with assorted bowls to share and a dessert all for a very reasonable 20 Euros. 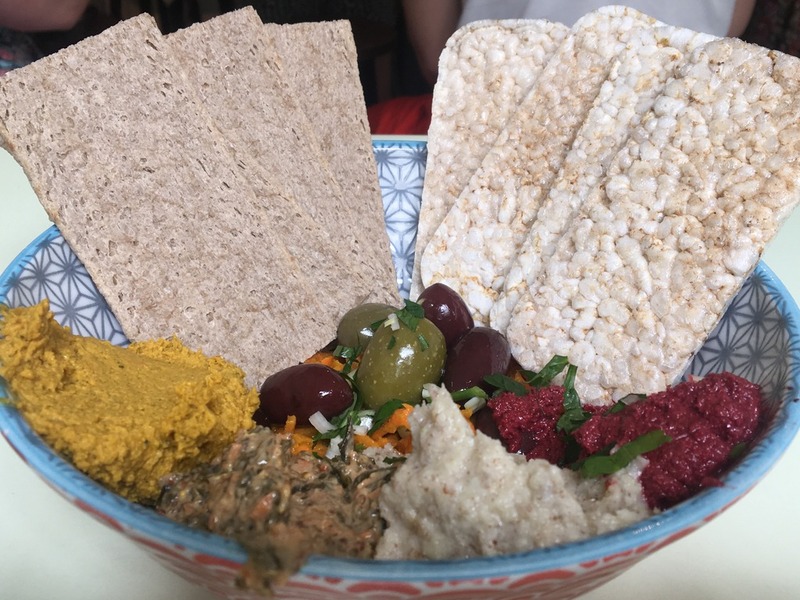 There was a delicious selection of hummus and beetroot dips, with rice and buckwheat crackers, Greek olives, veggie sushi rolls, and a seaweed and carrot salad. 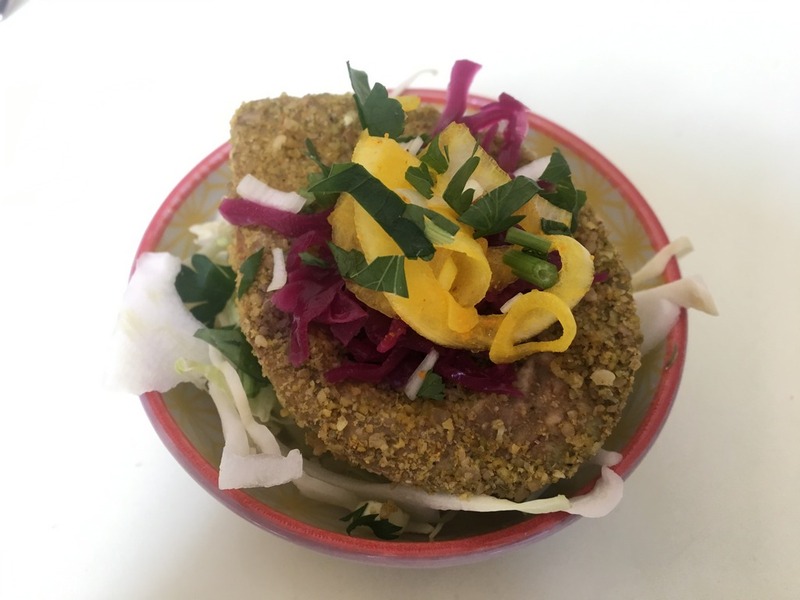 Avocado with herbs, coleslaw and seeds, which looked rather like a veggie scotch egg, but tasted wonderful as it was full crunchy texture and rich nutty flavours. Jeff – smashed potato, wild mushroom sauce, raw salad and aioli dressing. Spicy Chilli Sin Carne – served with brown rice and quinoa mixed beans turmeric sour cream – a great veggie chilli, quite mildly spiced with heaps of flavour. Pasta al Mafioso – whole wheat pasta with bolognese and herbs – a traditional vegetarian version of the classic dish. 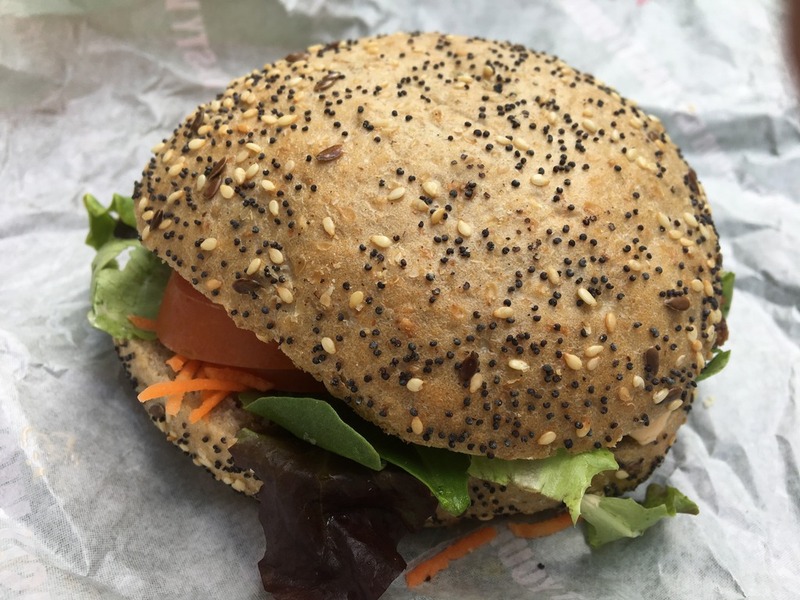 Gomasio – roasted buckwheat with sesame, which is used a cheese replacement- really lovely with a light crunch to top. Moroccan tagine – a warming spiced stew with lemon harissa, quinoa and potatoes and sultanas, which gave it a lovely sweet taste. All of this scrumptious food was washed down with a super healthy Detox juice – red beet, apple and ginger – a good combination of flavours and very refreshing on a hot day, I got a bit of a taste for these juices during my stay and plan to try out my own version at home. 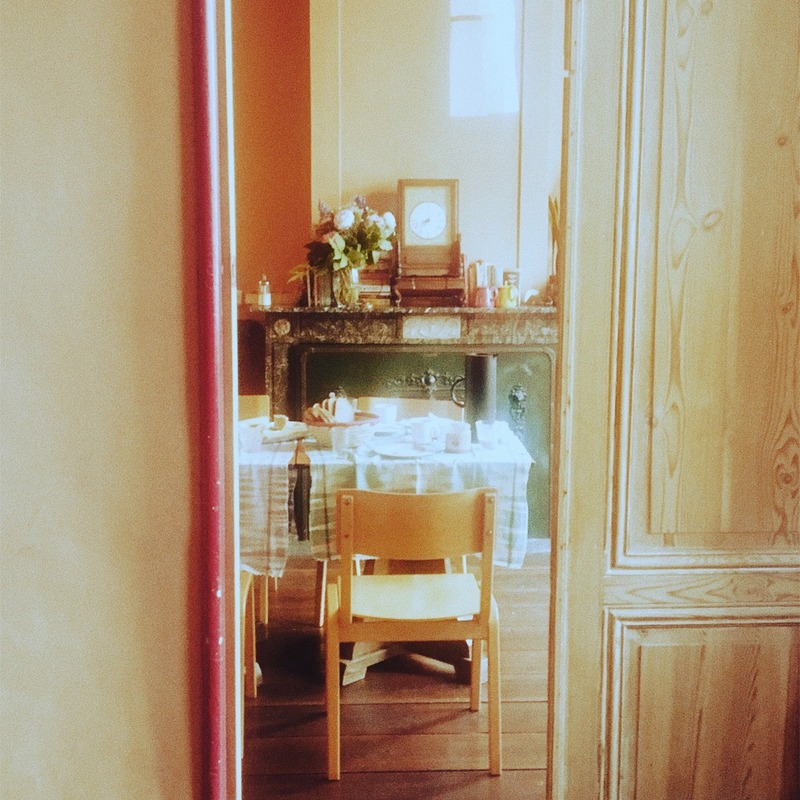 Le Botaniste also serves takeaway food and lots of lovely healthy cookies and muffins. I had a delicious peanut cookie, which was the perfect sweet treat to end the meal. Dinner on our first evening was a 10-minute walk from the centre of town, where I was staying. A large part of central Ghent has been pedestrianised, which makes it a wonderful city to walk or cycle in especially in the glorious weather that we enjoyed on our trip. 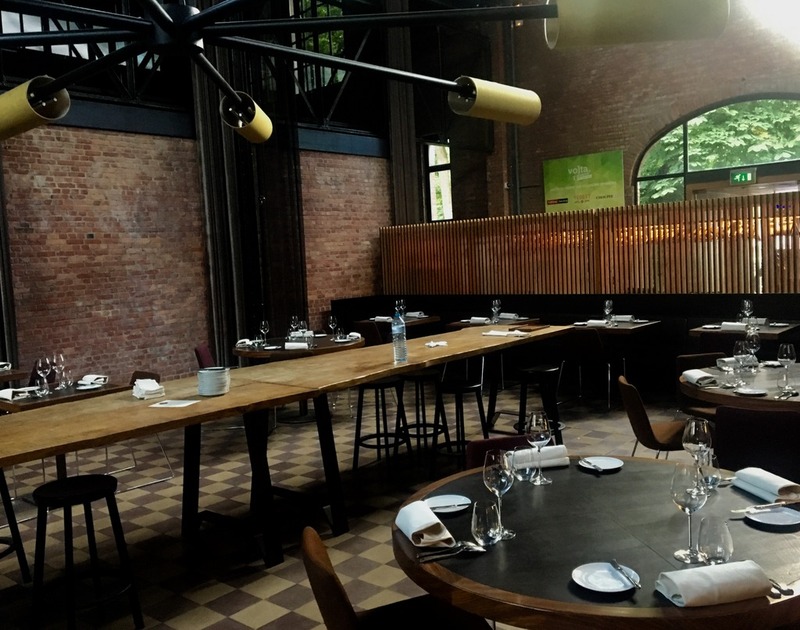 The Volta Bar is in a large imposing building that was once used for the distribution of electricity; the interior is set over two floors with an expansive restaurant area with a funky modern interior with an urban feel to it, and a fantastic metal structure hung from the ceiling. The busy workings of the kitchen are visible behind a glass wall, and upstairs is a moodily lit bar, which overlooks the restaurant area. I can imagine it is the perfect hot spot for the City’s cool crowd. It was such a lovely summer evening that we sat outside in the gardens underneath the trees with night-lights burning. A truly idyllic setting. What better way to kick off the evening than with a ‘Pink Trust’? 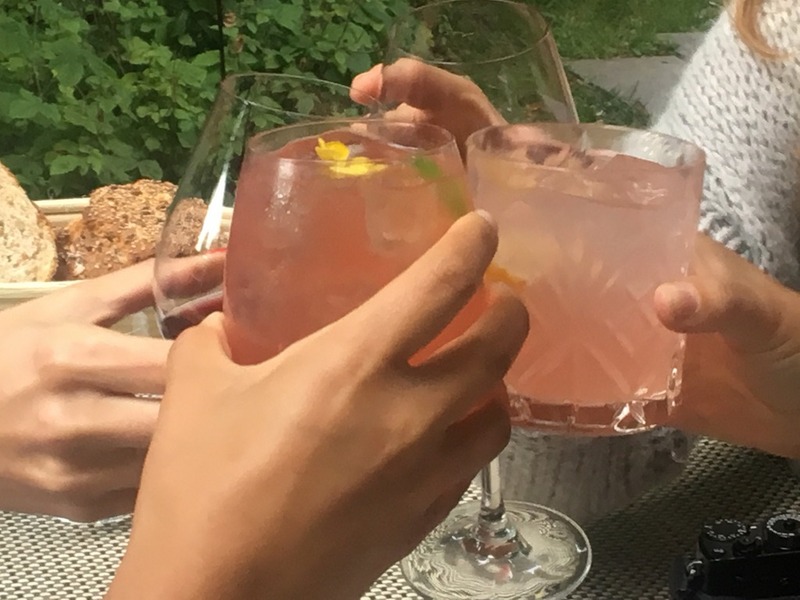 – very pink as its name suggests and prettily served with a small edible flower – the perfect combination of gin, Campari, and pompelmoes (grapefruit) – ‘Santi’ as they say in Belgium! We were brought a couple of small elegant dishes as an amuse bouche. Watermelon ceviche with sour cream – fresh, small balls of crunchy watermelon with sweet undertones and some Vegetarian Kofte, which were absolutely,divine! We were then served a 5-course vegetarian meal, (70 euros). This restaurant also serves meat and fish but I was only too happy to stick to the veggie menu. All the dishes were beautifully presented. We started with Burrata & Red Bell Pepper – the burrata was exceptionally creamy, and really complemented the fresh peppers. Served with crisp fried bread and an exquisite ice cream made with an escabeche preparation, which creates a sweet and sour flavour, this was delicious and refreshing. Next were some Vegetarian Spring rolls with lettuce and radish. 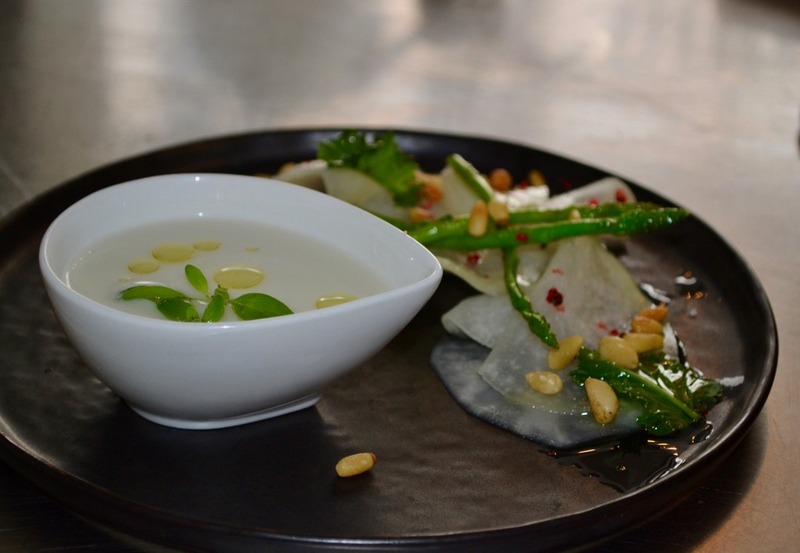 Followed by White Asparagus and Green Veg, which was lightly cooked and tasted beautifully fresh with a touch of lemon. The Simmenthal 4 Weeks BBQ – was a combination of different beetroots with artichoke creating a wonderful smoky flavour. Eating by now in candlelight each bite of our final course was a surprise, but I need not have worried as it was a heavenly end to the meal – white peach with lavender and white chocolate. What a divine combination, with the perfect sweet crunch of the chocolate contrasting with the delicate lavender infused peaches. We drank an excellent white wine from Italy, which donates some of its profits towards protecting wolves. The Malvasia ‘Terre Cheiti’ La Belle 2015 Lunaria Abruzzen, had an intense nose with hints if grape, pear and apple, fresh and soft in the mouth with a fruity full bodied flavour. 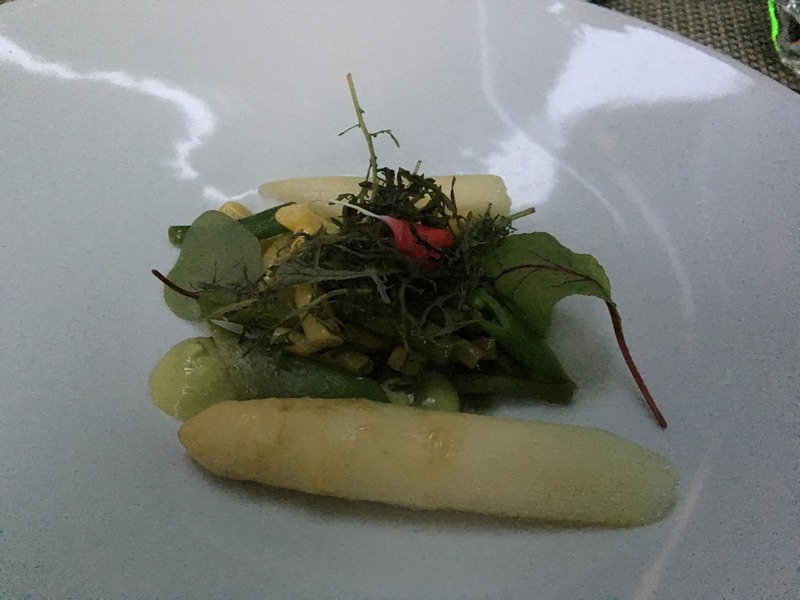 Remarkably after eating all five courses, I felt thoroughly satisfied without feeling overfull, which was a great feeling, perhaps that’s the difference with eating plant-based food rather than harder to digest meat. 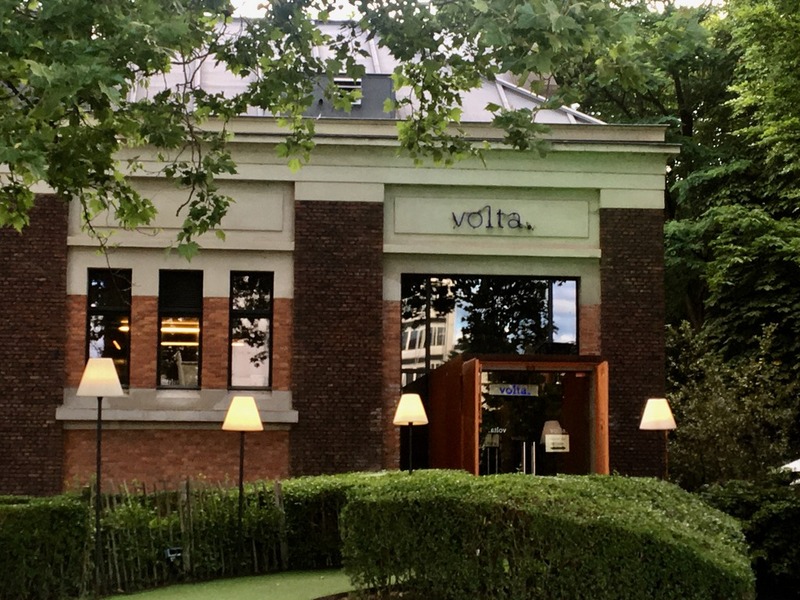 Volta Bar is a great destination for those wanting a special night out, the food we ate was exceptionally good, and it’s such a lovely location. A few of our group were not quite ready to end our evening, so we headed for a nightcap to the bar Zjuggwrs, which we had heard serves some of the best cocktails in Ghent. I have to say there were some pretty innovative and unusual concoctions on the menu. 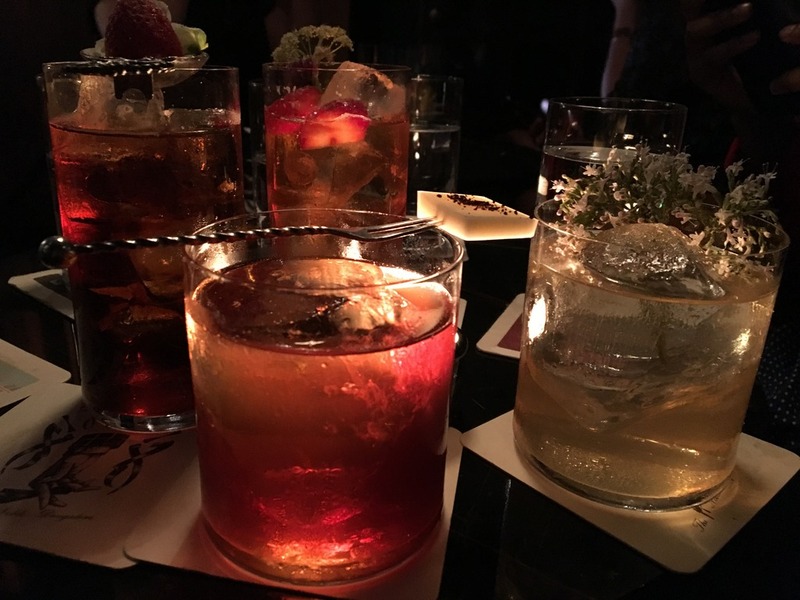 On the grounds that I loved a Negroni, I was recommended a Morning Stroller – strawberry and coffee infused jenievre, bitter, Fernet and sherry vermouth. 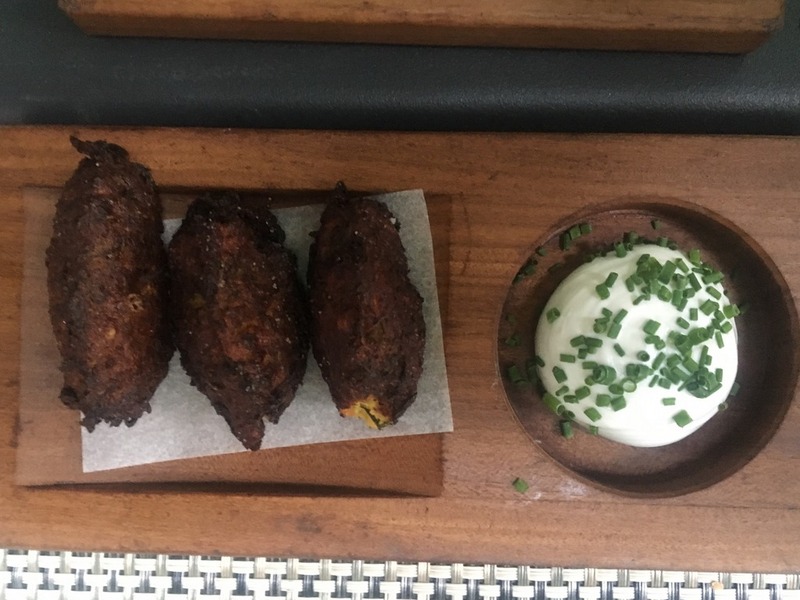 It looked fabulous and it was extremely potent and although I really enjoyed its strong spicy flavours, I couldn’t quite polish it off in fear of not being able to walk myself back to my room! I was staying in Chambre Plus, (which I will talk more about in next post) which provides holiday rooms right in the centre of town. It didn’t serve breakfast, so on both mornings, we all met in Aannaajaa, an organic, vegetarian, eco-friendly B&B just a couple of doors from my apartment where some of the other bloggers were staying for breakfast. 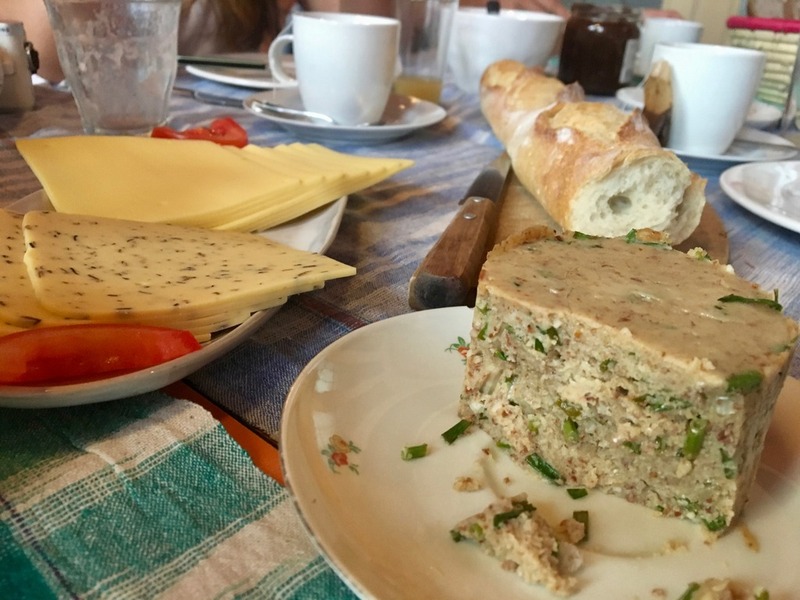 We were offered a lovely selection organic of breads, pates, yoghurts, muesli, spreads, jams and juices with freshly made coffee or herbal teas. It had a really warm and friendly atmosphere with a rustic feel to it. 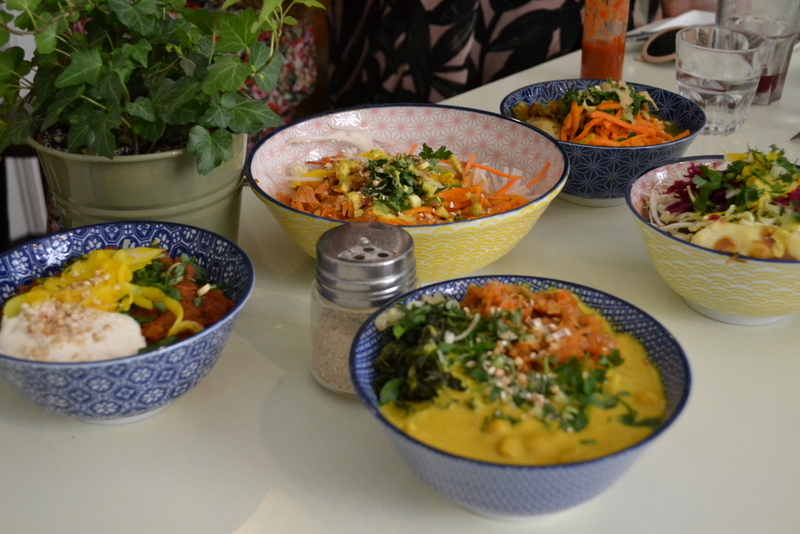 On Friday morning we took a walk through town to Food Storms, a vegetarian pop-up restaurant. We had been invited to a vegan cookery demonstration with Kevin Storms, with lunch to follow. Food Storms is Kevin’s brainchild; he is an acclaimed vegetarian chef, although he started out as an engineer, as his parents thought cooking wasn’t a proper job. His passion for food was unstoppable though, and from a young age, he would find work in kitchens learning the trade, going on to abandon his engineering career and concentrate on becoming a chef, finally going on to run his own restaurants in Ghent. He is a vegetarian himself but he told us that he only cooks vegan food in his restaurants as he believes vegan cookery treats vegetables in their purest form. He now runs pop-up restaurants and workshops around the city. It was fascinating to be able to watch how masterfully Kevin puts together his food and the real passion he has for cooking vegetables. He always uses whatever is in season, and prepares his food in a remarkably inventive yet simple and way. He uses every bit of the plant, part of what he describes as an ecological mission not to throw anything away, and he makes compost with any leftovers. 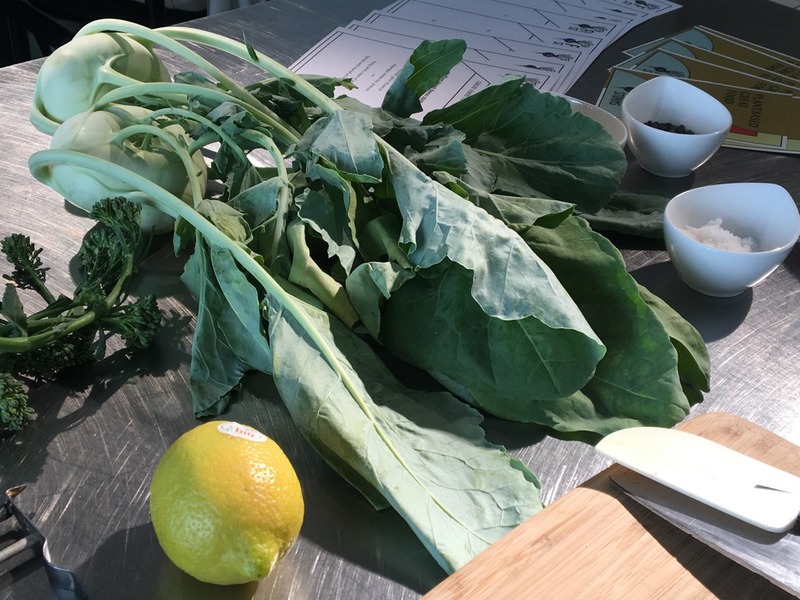 Kevin talked about cooking with vegetables to enhance their natural quality using different cooking methods, often blanching, frying or grilling. He particularly likes charred or grilled vegetables and thinks that fire and salt are the most important ingredients in cooking. He talked about the complexities of food and its need to comfort and satisfy. 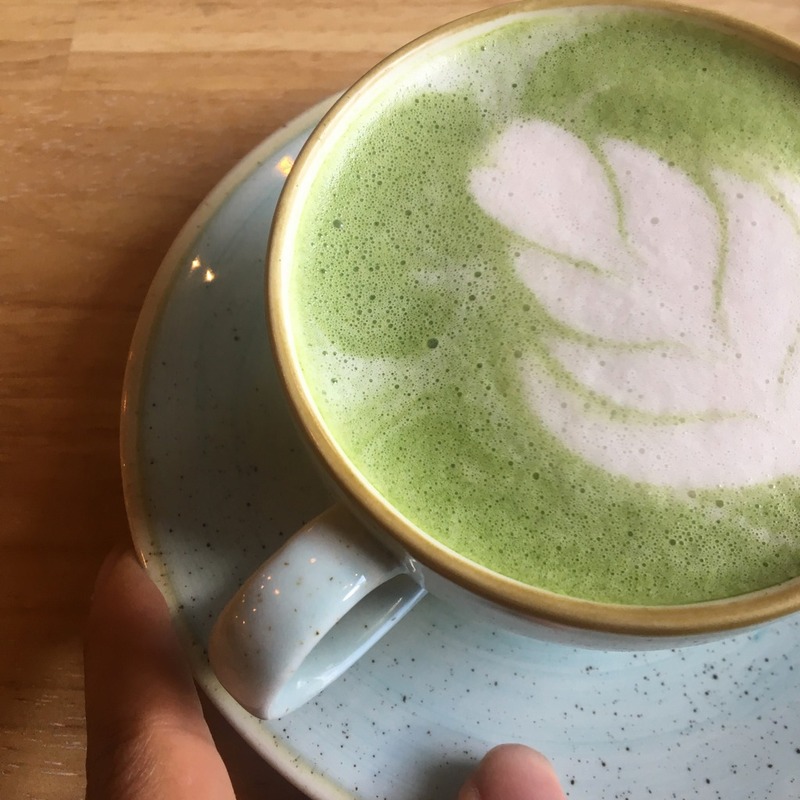 He says to make vegetarian food interesting it is important to create polarities, by mixing colour and texture, he likes to use something green and vibrant alongside something creamy. Kevin uses lots of cashew nuts to provide those creamy flavours, plus Green lentils are good too. Kevin put together a glorious menu, which he presented with such style and panache, and we were lucky enough to sit down for a truly creative and a totally delicious four-course meal once we had witnessed his artistry. 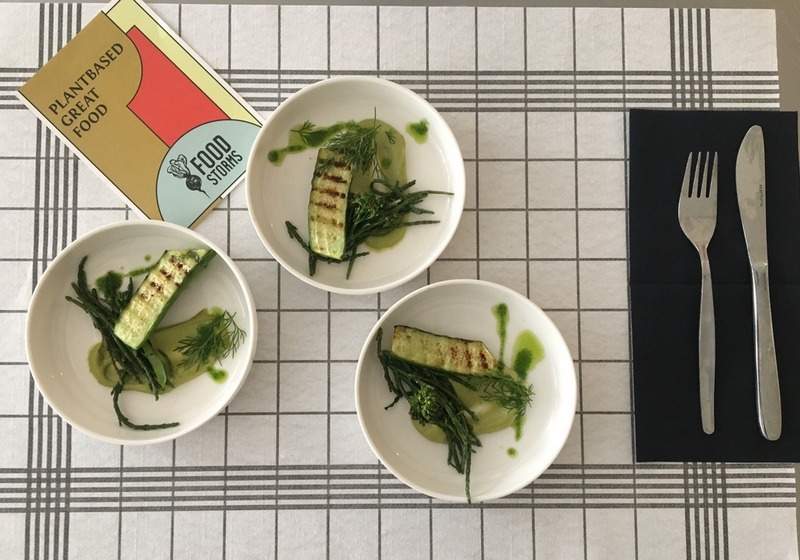 We started off with Grilled cucumber glasswort (samphire), cashew, dill – the colours of this dish were so vibrant and the creamy texture and subtle taste of the dill provide the perfect accompaniment to the fresh crunch of the grilled cucumber and the smoky char grilled veg. Next was young carrot, cream of lentils and spinach with charred onion and fregola. Fregola is small pasta from Sardinia, which has a wonderful nutty flavour to it. It was almost like a vegetation alternative to sausage and mash. 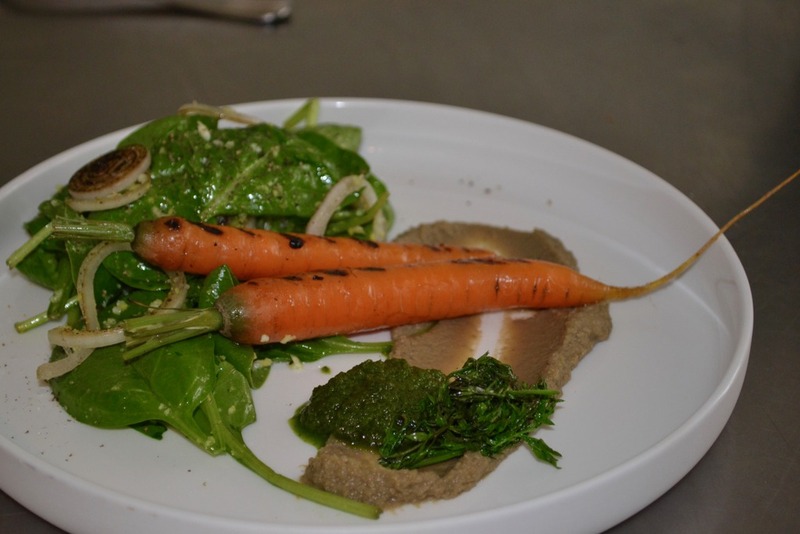 The carrots had been char grilled then baked and they tasted to soft and flavoursome, the strong creamy flavours of the lentils combined with a herbaceous pesto and fresh salad leaves provided the ideal accompaniment. Our final course of organic strawberries, coconut cream with a mint crunchy almond topping made a fabulous end to a really extraordinarily good vegan meal. 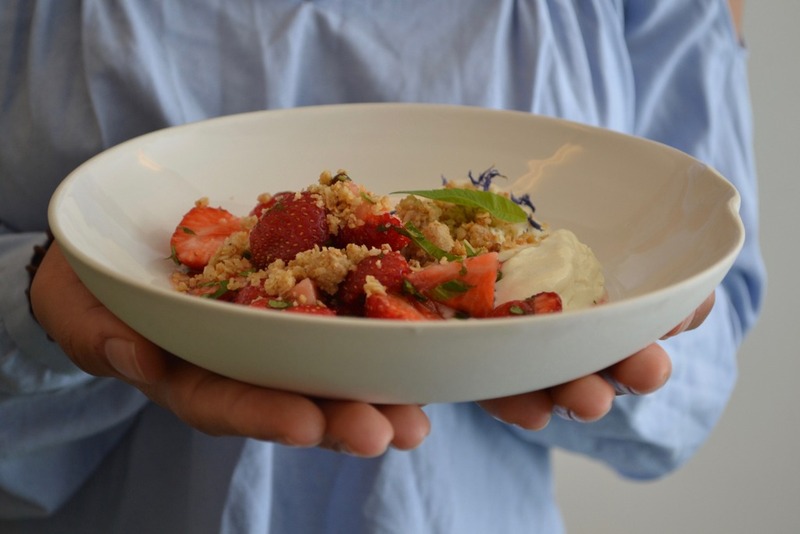 Small, sweet, succulent strawberries complemented by the creamy textures of the coconut and a minty crunch. So check out Food Storms and see if you are lucky enough to be in town when Kevin opens his next pop-up restaurant. 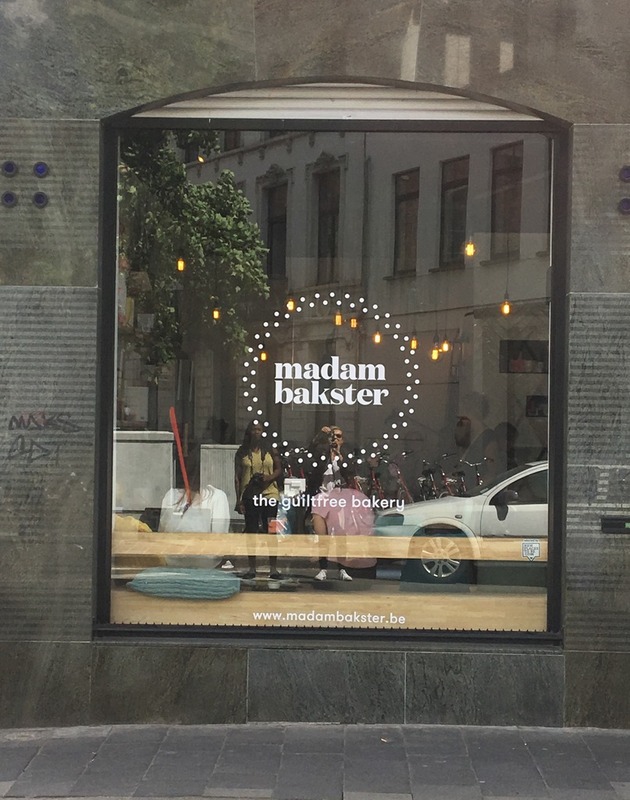 After a bike ride through the streets of Ghent and a tour of the magnificent street art and alongside the dockyard, we were taken for a well deserved sweet treat to Madam Bakster, a vegan bakery which claims to be guilt free, what’s not to love! 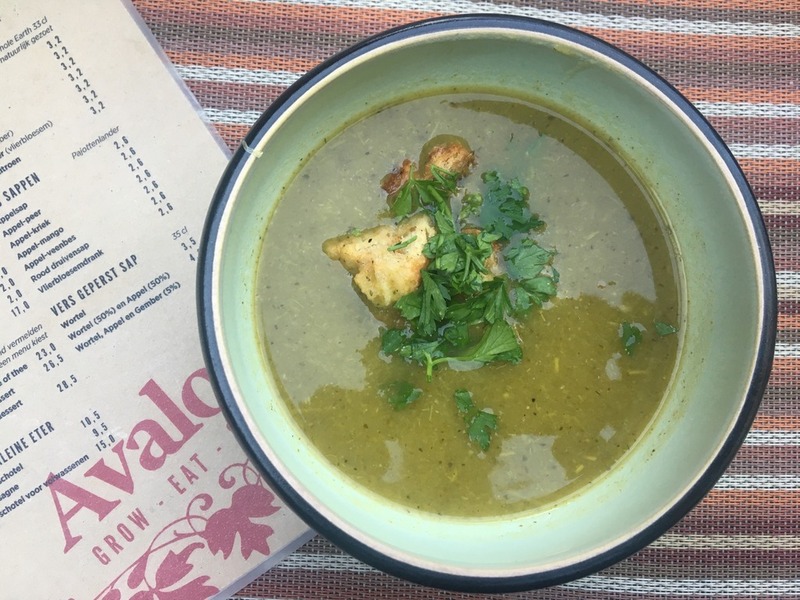 The story of Madam Bakster started when language student Laura Verhulst, after a number of years counting calories, wanted to make the transition to a healthier lifestyle. 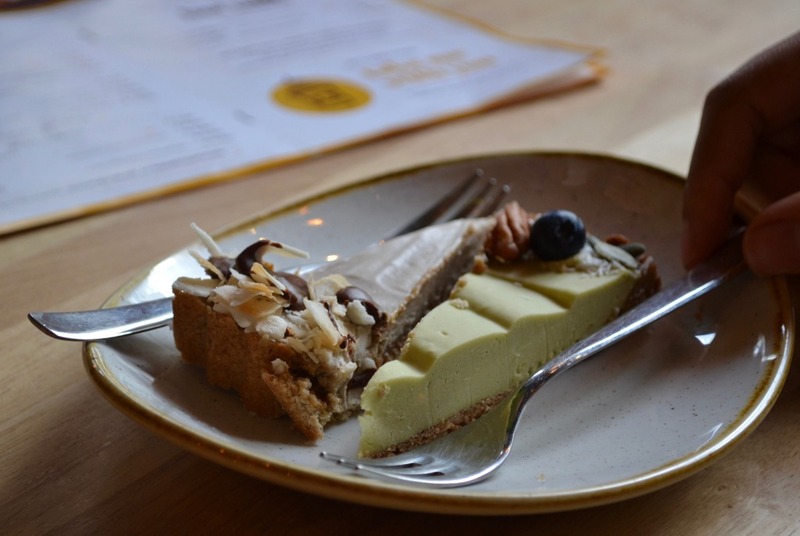 As a hobby, she started experimenting with making cakes and desserts without refined sugar, animal products, wheat and artificial flavours or preservatives. She replaced the raw materials with healthy and natural alternatives, using oatmeal, nuts, avocados, coconut oil and dates instead. She took her idea online and a business was born. In 2015 Laura won the prize for student entrepreneur of the year, little did she know the how successful her idea would be, and she had to give up her degree to put her time and energy into her thriving business. Laura now has her own coffee house, which is beautifully designed by Evelien Interior. All the furniture and chairs are home made, thus creating a living room effect where everyone can feel at home. We met with the lovely Laura who told us how she believed you could live a healthy lifestyle without having to give up some of the pleasures in life, like eating desserts, I’m all for that! We were brought a selection of beautiful looking cakes and desserts along with a choice of herbal teas, matcha or regular cappuccinos. I had an almond milk cappuccino; impressively they even make their own almond milk each morning on the premises to be used as a milk replacement in many of the products. All the cakes are invented and designed by Laura and they all have all a name and a personality. We tried some scrumptious morrison popcorn with coconut blossom sugar, a banana cake – which reminded me of a banoffi pie, some wonderfully indulgent ludo chocolate caramel and almond bites – a cross between a brownie and a millionaire shortbread and my firm favourite an avocado and lemon cake – which was deliciously creamy and light with a wonderful citrus tang. So if you are visiting Ghent, I would thoroughly recommend making the effort to seek out Madam Bakster’s lovely coffee shop for a guilt free treat. 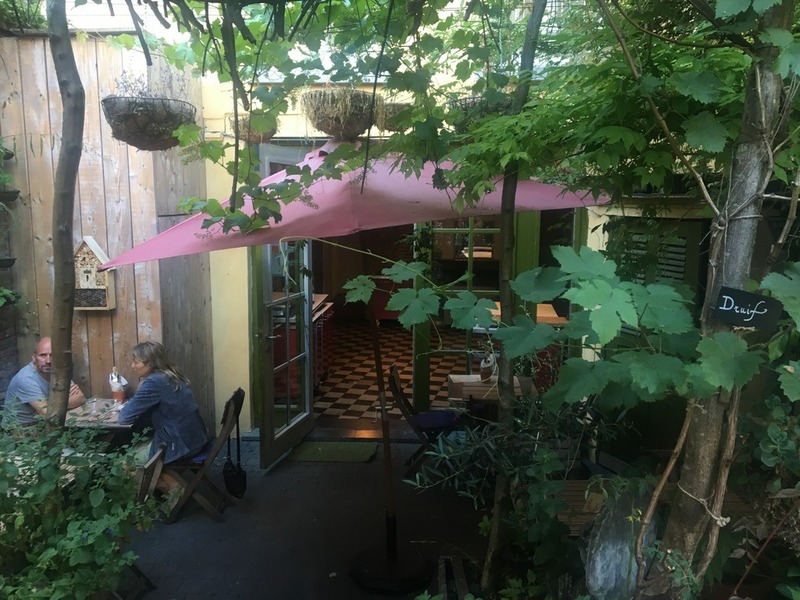 On our final evening , we went to Avalon, a vegan restaurant in the centre of Ghent. As the weather was still treating us very well we were able to sit out in the garden under the hanging vines and wisteria. The evening we visited it was a buffet meal, there was a light courgette fennel and leek soup with croutons and parsley to start and then a selection of quite traditional vegetarian dishes, all with a very home cooked feel. 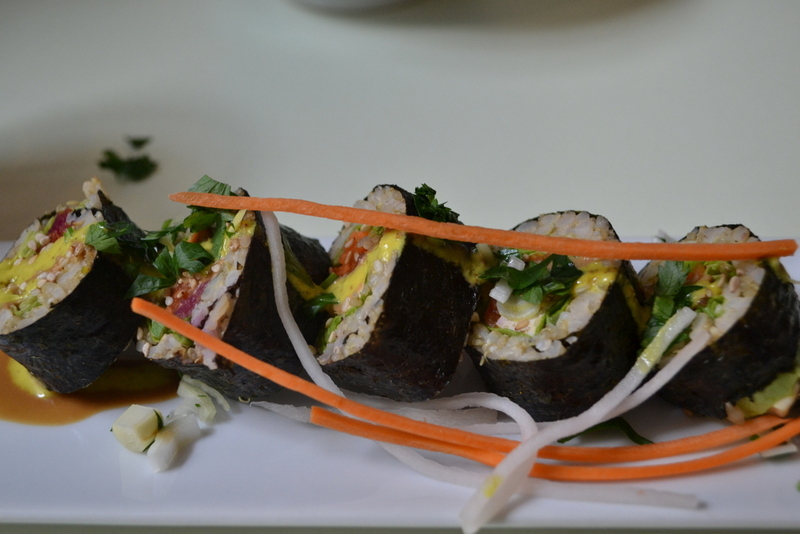 I particularly loved the nutty brown rice, and freshly made carrot and beetroot and salads. 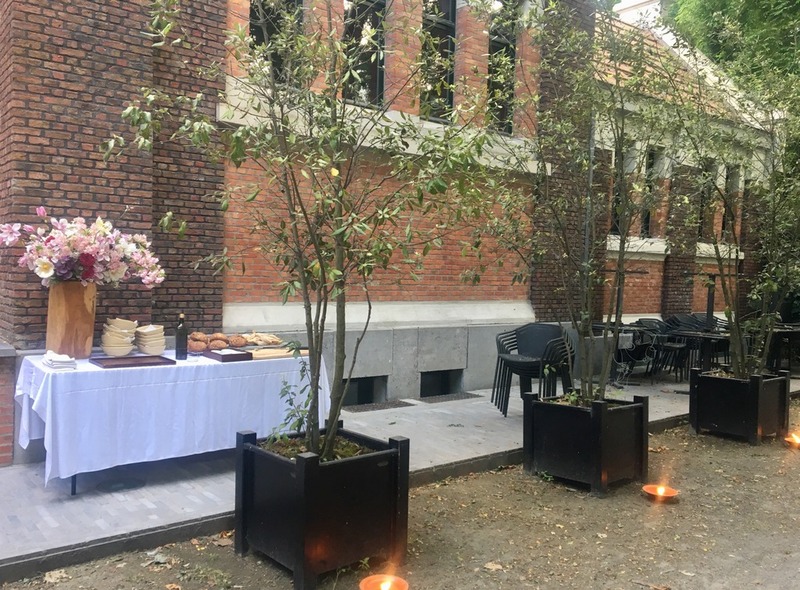 There were grilled tomatoes, roasted squash, baked carrots and small lentil pastries, all washed down with chilled rose, a perfect end to our vegetarian tour of Ghent. Having said that we also indulged in some fine veggie burgers for lunch the next day at Tasty World where they serve a selection of burgers and freshly made juices, before we set off on our separate ways to journey home. Ghent is a beautiful, welcoming city, which has embraced vegetarianism with such variety and style, that it’s enough to turn any self professed carnivore into a plant eater, having had the opportunity to eat such wonderful food I know I have embraced it with open arms. Please look out for my next post, where I will be writing about where i stayed and some of the wonderful things to see and do in Ghent. And, if you are thinking of visiting Ghent now, why not pin this post for later? It’s definitely well worth cutting out meat when veggie food is this good! The strawberry crunch was absolutely delicious! Recently I have been reading a lot on Ghent and it is so interesting to know about EVA campaign and the impact it has made on people. I am a veg myself and this place will be a delight for me. I think I can never go off with the options they have. All dishes look so tempting.